The Book | Polished by Calvin Purnell, Jr.
Mentors are a huge part of the success of many people. They offer real life information that schools often don’t teach when it comes to building your career. 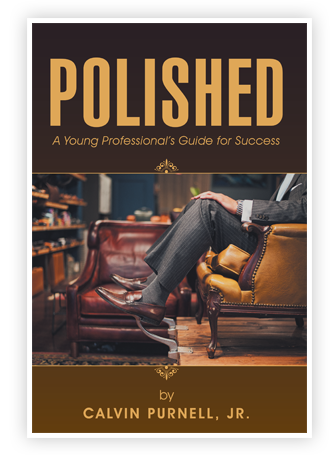 Polished is that – a mentor in a book that gives young professionals advice through the author’s past experiences, advice given to him, and observations of others’ success stories. The lessons learned are provided for the readers to give them information to carry as they begin walking down the path of their career. It’s like a message in a bottle giving tips on professional conduct, dressing, networking, and many other facets that lead to your professional success no matter your career choice. The information provided will guide you toward success if you work in a fast food restaurant or working your way up the corporate ladder.